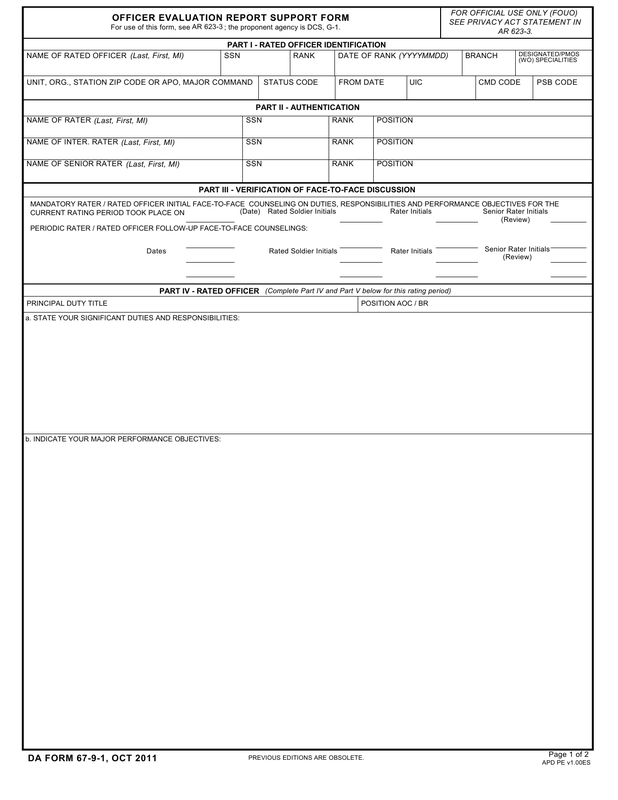 Download DA Form 67-9-1, also known as the Officer Evaluation Report Support Form. This form is designed to assist raters in providing supporting information for promotion or denial of promotion after face to face interview and counseling. This form also provides information with regard to each rater in the rating chain. Step 3 – Part lll – Verification Of Face-To-Face Discussion. Each rater would complete the information in this section according to information provided by the evaluated officer during a face-to-face interview. These forms are fillable online or printable for manual use.